Gearing up for Formula 1 Singapore Grand Prix this weekend? 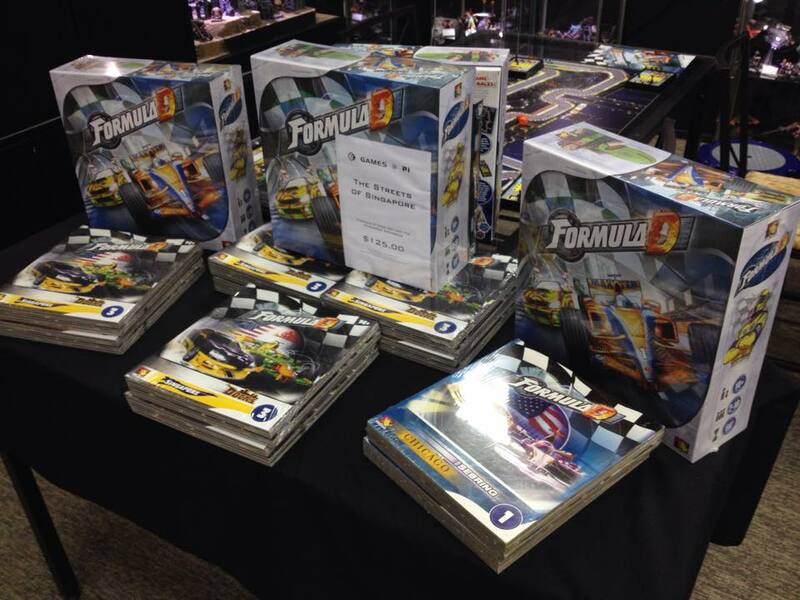 Share in our excitement as well as we present to you the Formula D Streets of Singapore bundle which includes both the Core Set and the Singapore Expansion for the amazing price of $125 (usual price: $153.90). New Netrunner Pack Is In, Folks! The Universe of Tomorrow is in just in time for Netrunner Tuesdays at Games @ PI. And for those of you wondering what this bestselling card game is about, don’t forget to drop by after 6 for a demo with our friendly community. Games @ PI is offering all voters an additional 10% discount on all purchases during the election weekend *. This will run from now until closing time on Sunday (10th September to 13th September). To enjoy this offer, customer are required to verify their status as a voter as defined by the Singapore Elections Department, when making a purchase. You are ordinarily resident or deemed to be ordinarily resident in Singapore at an address that is in that constituency. Thank you for your participation in a peaceful democratic process. *Does not stack with other ongoing promotions. Today is the last day of the September Surprise Sale! Grab a free Netrunner ID today! Android: Netrunner, Fantasy Flight Game’s Living Card Game of cyberpunk dystopia has previously made the news for how its community is “nice”. At Games @ PI, we tend to agree. In no small part thanks to the generosity of our community veterans, we’re putting forward a new initiative to help our new players who wish to join us in the war between Corp and Runner. Just starting out with your newly bought Netrunner Core Set?Remember to ask our staff about the “ID Shop“. Diversify your game by grabbing a Corporate and Runner ID from our pool of ID Cards, all donated by our community vets to help out players starting on their first fledgling steps to master the game. Curious about Netrunner and interested in seeing what all the fuss is about? Come on down on Netrunner nights (Tuesdays, 6pm until late) for a Learn-to-Play and see why Netrunner has become a bestseller the world over. And don’t forget to grab your first free ID too after the demo. Interested? Come down on Tuesday nights from 6pm onward to steal some Agendas and plays some games with the Netrunner group who set up the initiative.